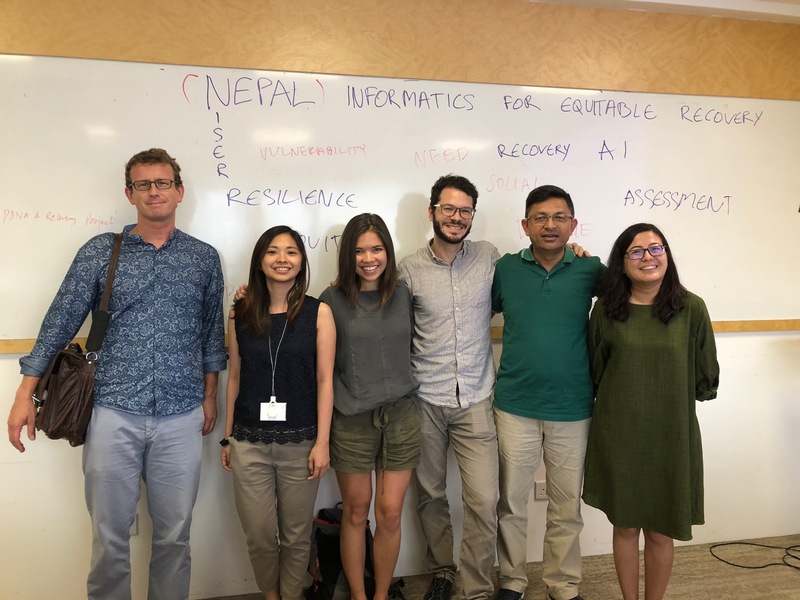 Because communities rely on information after a disaster, we have brought together a team of civil engineers, disaster risk and recovery specialists, social scientists, and civic technologists to develop “Informatics for Equitable Recovery.” We’re re-evaluating how post-disaster impact information is collected and analyzed using the 2015 Nepal earthquake as an initial case study. Before getting into our goals of the project, we first need to understand where impact information played a role in shaping long-term recovery after the earthquake in Nepal. While we’re always learning about this process, generally, we know key points after a disaster when regional impact assessments are needed for recovery-oriented decisions. One instance is the Post-Disaster Needs Assessment (PDNA), which is a multi-sectoral loss assessment meant to detail a holistic view of the damages and needs introduced and/or exacerbated by the disaster. Nepal’s National Planning Committee (NPC) mobilized all major donors for their own PDNA two days after the second major earthquake on May 12 and went on to coordinate the assessment for the following two months. On July 15, the Government of Nepal presented the numbers from the PDNA at the donor’s conference, the International Conference on Nepal’s Reconstruction, and received pledges for about $4.4 billion in aid for Nepal’s reconstruction. 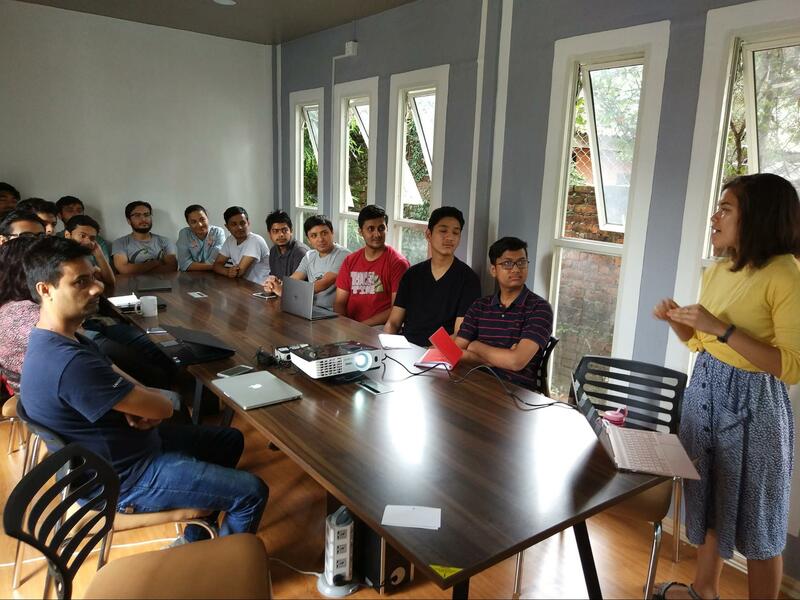 This later led to Nepal’s National Reconstruction Authority, Post Disaster Recovery Framework, and finally their housing reconstruction program. The PDNA is just one example of a seminal process which occurs after many major disasters, not just Nepal’s, that is crucial for a country’s capacity to recover. Given the short time-frame, post-disaster data collection and analysis is generally ad-hoc, largely dependent on what data is available afterward. Ad-hoc collection leads to many new information sources (including crowdsourced or remote-sensing based data) being left unused, especially because they have unknown accuracy. In the case of the Nepal PDNA, the final damage figures were based only on information from local officials and police of each affected district. I’m excited to work on this project for many reasons. Members of our team after our first workshop at Nanyang Technological University. Pictured from left to right: Jamie McCaughey, Maricar Rabonza, me (Sabine Loos), David Lallemant, Nama Budhathoki, and Ritika Singh. I’m also a strong believer that issues that arise between cross-disciplinary teams are not necessarily because they’re cross-disciplinary. I’ve been lucky enough to work on this project with a group that is passionate, committed, and willing to explore new areas outside their expertise. It’s been a truly enjoyable experience learning from the members of our team, especially everyone at KLL. (I could write a whole blog post about them, and just might). But really, I’m excited about this project because we’re trying to answer a more cognisant question – what impact information is necessary for addressing equitable recovery? If it’s damage to buildings, we can continue looking at impact the way we currently do. However, I think the results from our project will empirically confirm that there are many additional and more holistic factors which influence the speed of recovery. 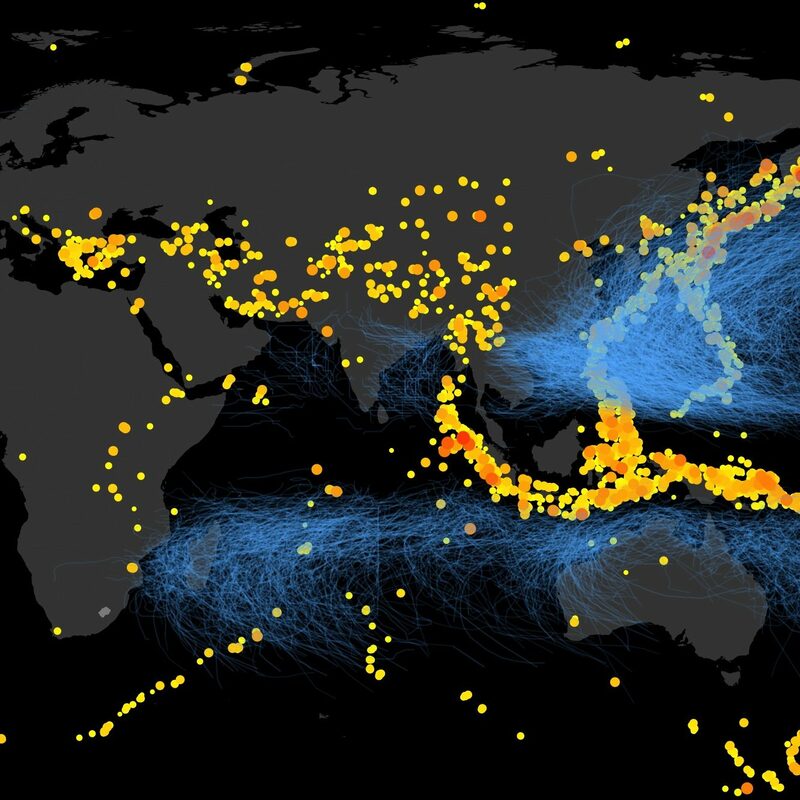 Understanding such factors could be immensely useful in shaping how information is collected and analyzed after future disasters. And most importantly, continue to guide the ongoing recovery efforts in Nepal. This project is supported by the the Earth Observatory of Singapore as well as the World Bank’s Trust Fund for Statistical Capacity Building (TFSCB) with financing from the United Kingdom’s Department for International Development (DFID), the Government of Korea, and the Department of Foreign Affairs and Trade of Ireland.